Due to its integration with future you can run massive computing tasks using a Google Compute Engine cluster with just a few lines of code. Some more examples of using future can be found here, using fractals as an example. On other platforms, see also an Azure example here on Revolution Analytics. This workflow takes advantage of the future integration to run your local R-functions within a cluster of GCE machines. You can do this to throw up expensive computations by spinning up a cluster and tearing it down again once you are done. The example below uses a default rocker/r-parallel template, but you can also create a dynamic_template pulled from the Container Registry if required. Instead of the more generic gce_vm() that is used for more interactive use, we create the instances directly using gce_vm_cluster(). This creates a cluster, uploads any SSH settings you have and tests the connection, then returns the list of VMs suitable for use in future::cluster(). #Warning: Permanently added '35.233.25.199' (ED25519) to the list of known hosts. #Warning: Permanently added '35.187.54.41' (ED25519) to the list of known hosts. #Warning: Permanently added '35.205.66.124' (ED25519) to the list of known hosts. You can pass in your own arguments to gce_vm_cluster() such as which docker image to use, name and custom SSH arguments you may have. See the function documentation for details. 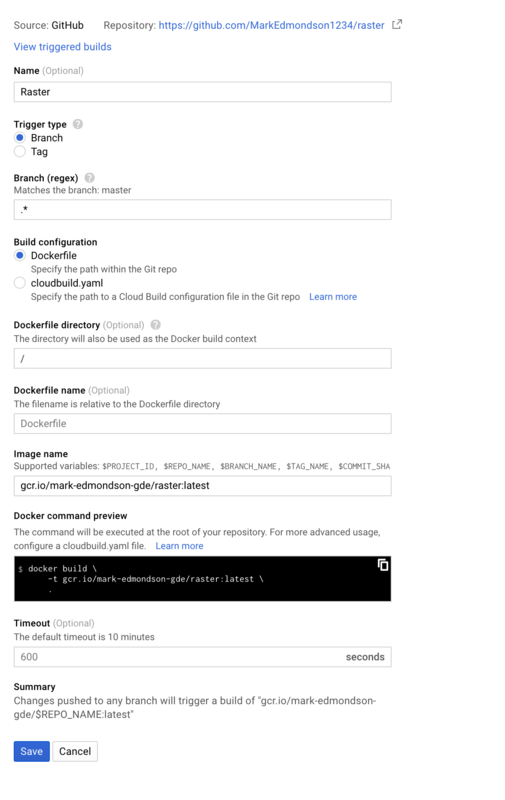 The default uses rocker/r-parallel as its image, but if you want your own custom image then create your own Docker image based on that one, for example via this tutorial using Google Build Triggers. This will give you a docker image name such as gcr.io/my-project/my-r - use a version of the code below to use this in your cluster. The cluster is now ready to recieve jobs. You can send them by simply using %<-% instead of <-. Another useful function is future.apply::future_lapply that lets you loop over a cluster. Consult the future.apply documentation for details. For long running jobs you can use future::resolved to check on its progress. The below splits a dataset into chunks that are each run on a seperate VMs, using a custom Docker image that has the necessary packages installed, for instance via build triggers. Optimise by including the package future in these Docker images. This is from @ctlamb’s GitHub issue #93 which uses a custom Dockerfile to install the raster package. Make sure the VMs are created in the same project as the build triggers to ensure authentication is smooth. Remember to shut down your cluster. You are charged per second, per instance of uptime. Preemptible VMs are a lot cheaper (80%) than normal instances, but Google reserves the right to stop them at any time. They are intended to be used in non-critical jobs where if they shutdown you can account for it and launch another. To create them, you need to pass scheduling = list(preemptible = TRUE) to gce_vm_create() creation family of functions. Make sure you can cope with the result may not be returned, so over provision the VMs and ensure your script can deal with redoing jobs if they didn’t complete. You can launch as many VMs as you have quota for in your account. These vary from region, from ~240 to 720. You can apply for more quota if you need it.